This highly original and sophisticated look at architecture helps us to understand the cultural significance of the buildings that surround us. It avoids the traditional style-spotting approach in favour of giving an idea of what it is about buildings that moves us, and what it is that makes them important artistically and culturally. This highly original and sophisticated look at architecture helps us to understand the cultural significance of the buildings that surround us. It avoids the traditional style-spotting approach in favour of giving an idea of what it is about buildings that moves us, and what it is that makes them important artistically and culturally. 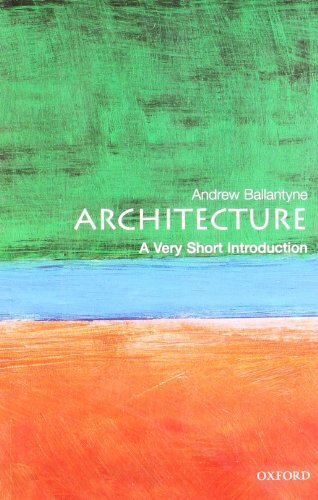 The book begins by looking at how architecture acquires meaning through tradition, and concludes with the exoticism of the recent avant garde. Illustrations of particular buildings help to anchor the general points with specific examples, from ancient Egypt to the present day. ABOUT THE SERIES: The Very Short Introductions series from Oxford University Press contains hundreds of titles in almost every subject area. These pocket-sized books are the perfect way to get ahead in a new subject quickly. Our expert authors combine facts, analysis, perspective, new ideas, and enthusiasm to make interesting and challenging topics highly readable.